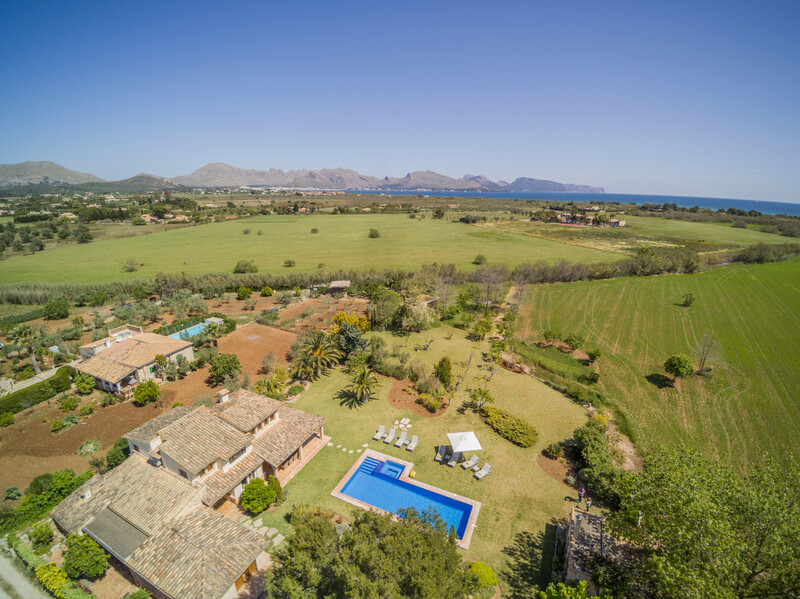 This property is a lovely country house, just 3 kms from the beaches of Llenaire, Puerto Pollensa and 5 kms from Pollensa and Alcudia towns also with its beautiful beaches. 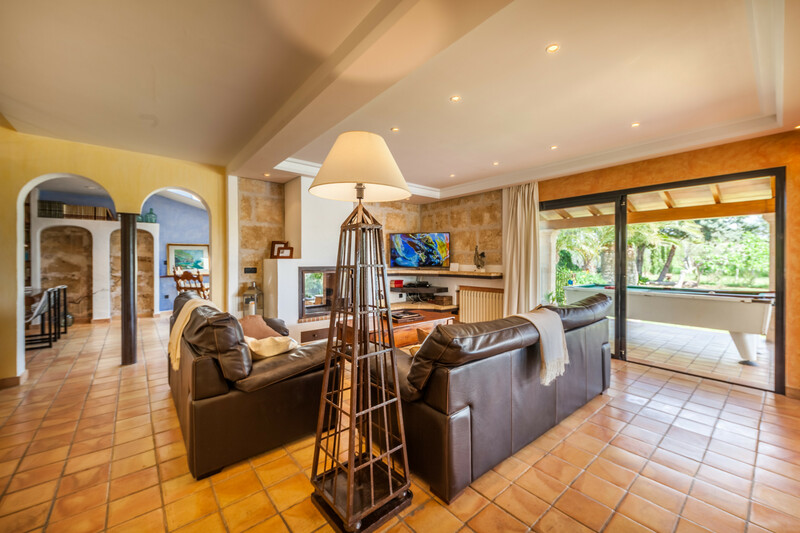 Set on the large grounds of this property you will find a superb, large swimming pool with a Jacuzzi area and roman steps for easy entrance and surrounded by a large lawn area with a beautiful looked after garden. 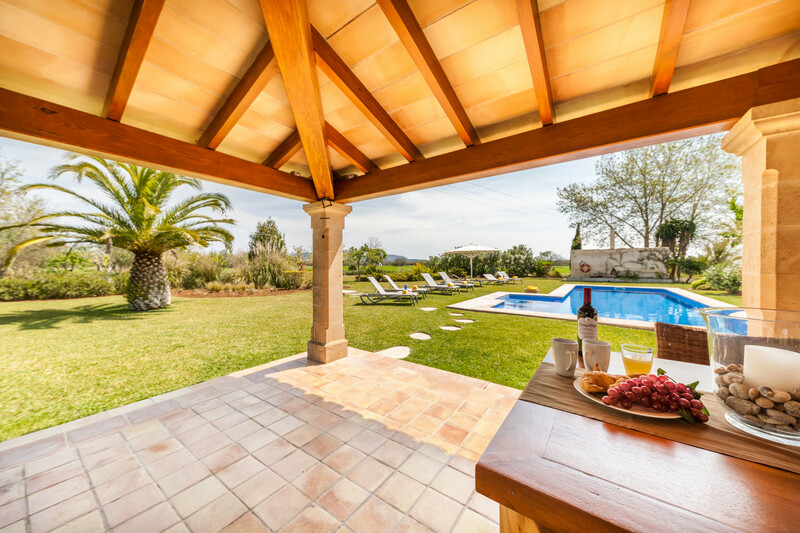 from the gardens and house its self you can take in the views of the mountains in the distance. 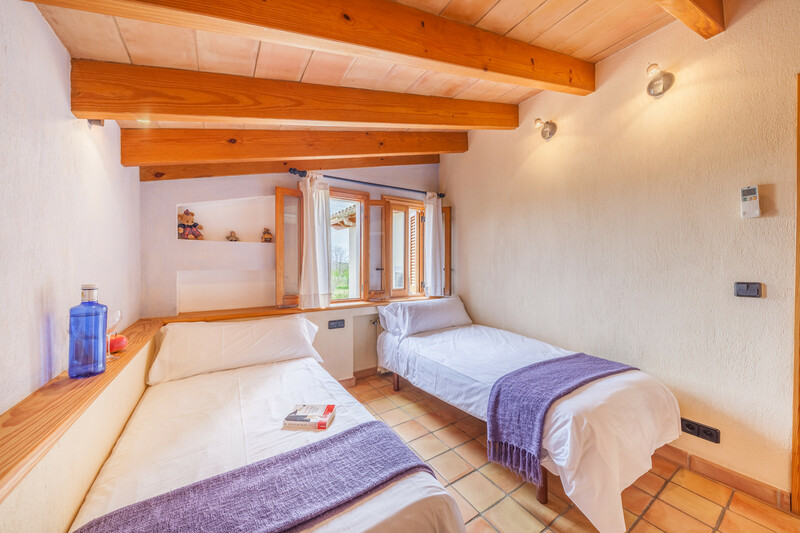 The setting is ideal for families with children, groups of friends or just a quiet family holiday. 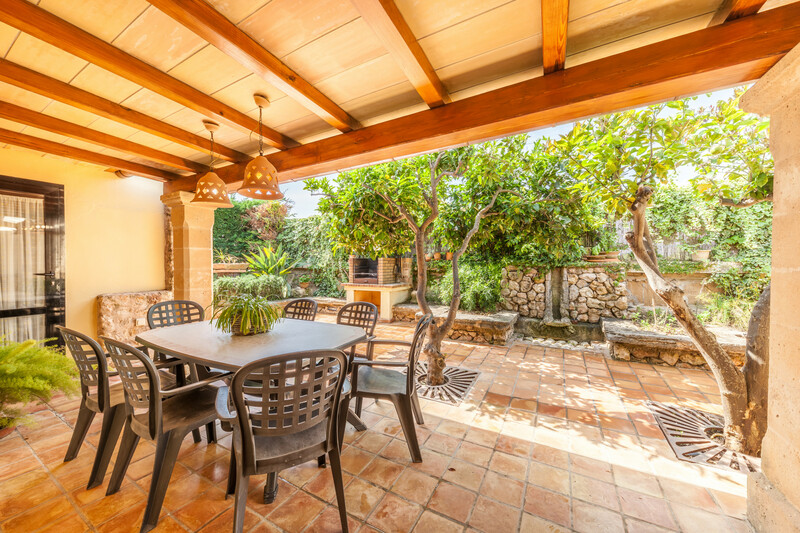 A choice of various covered seated areas throughout the garden offer perfect dining along with late night or lazy BBQ afternoons soaking in the sun. 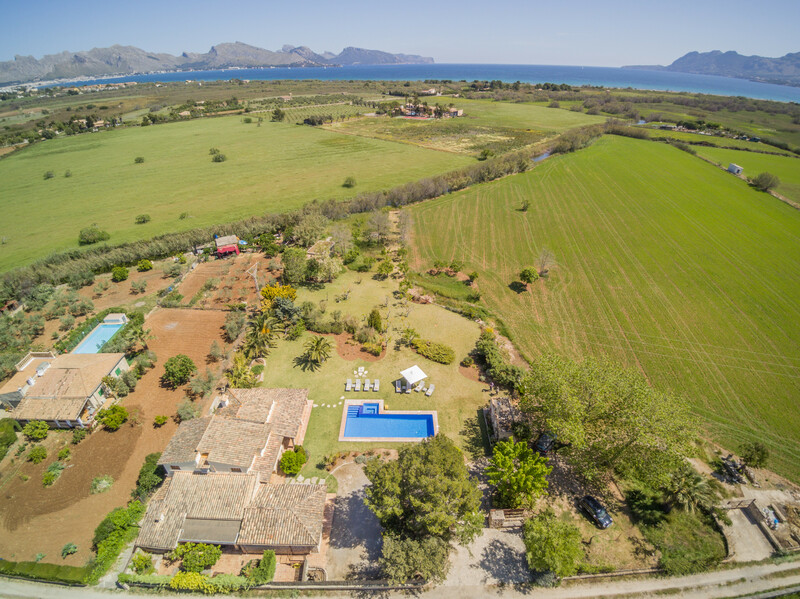 Finally there is a gated pond with a few fishes in and other water animals if you get the chance to see. 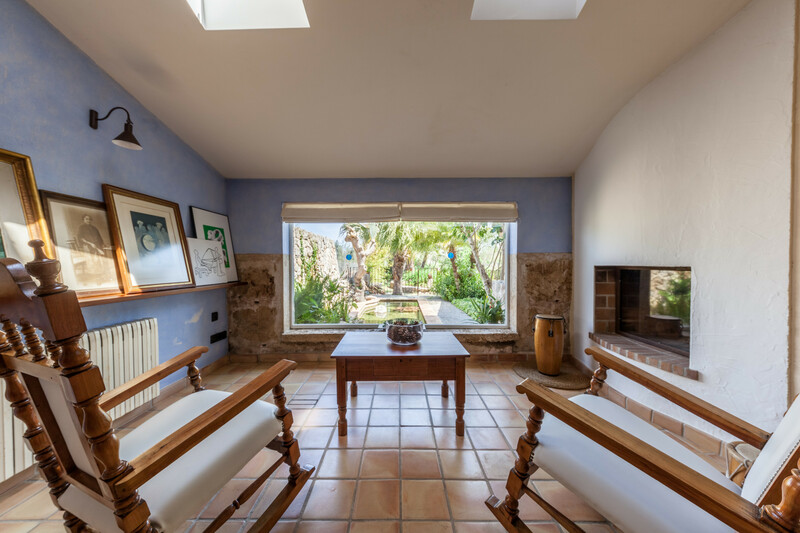 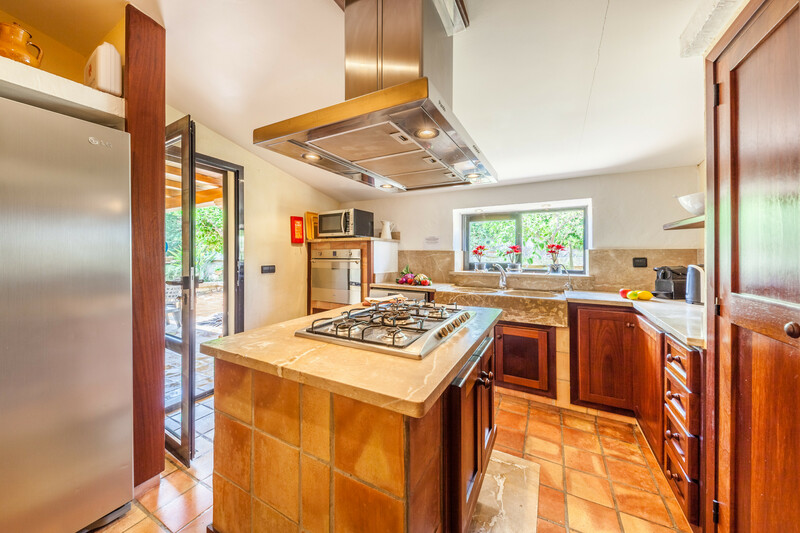 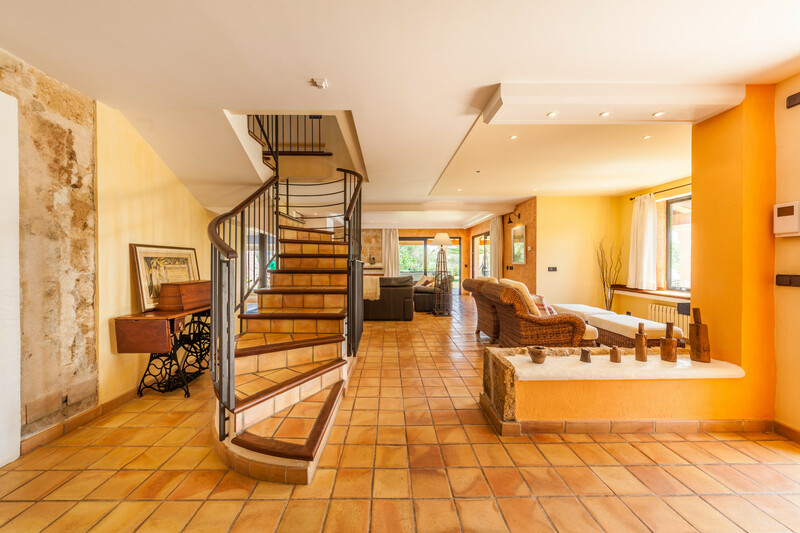 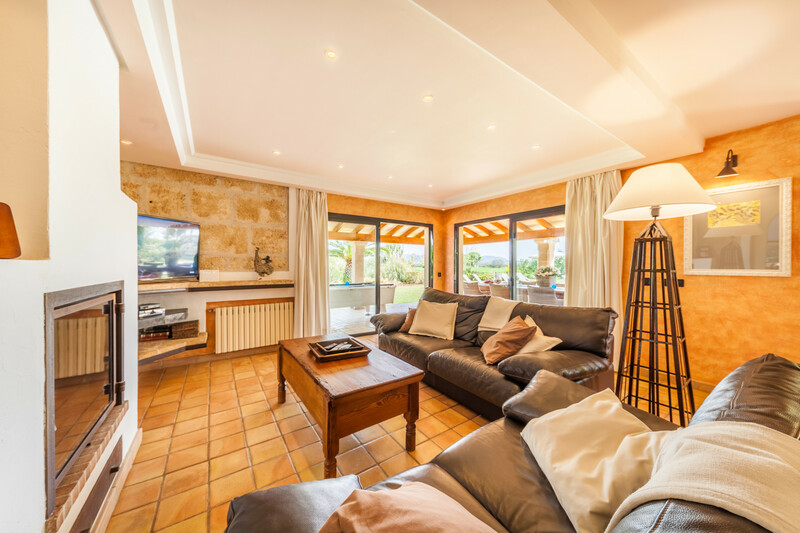 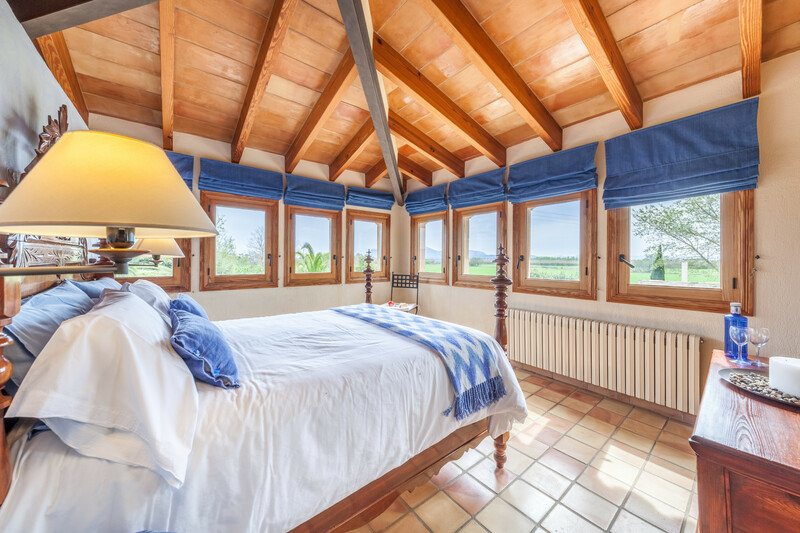 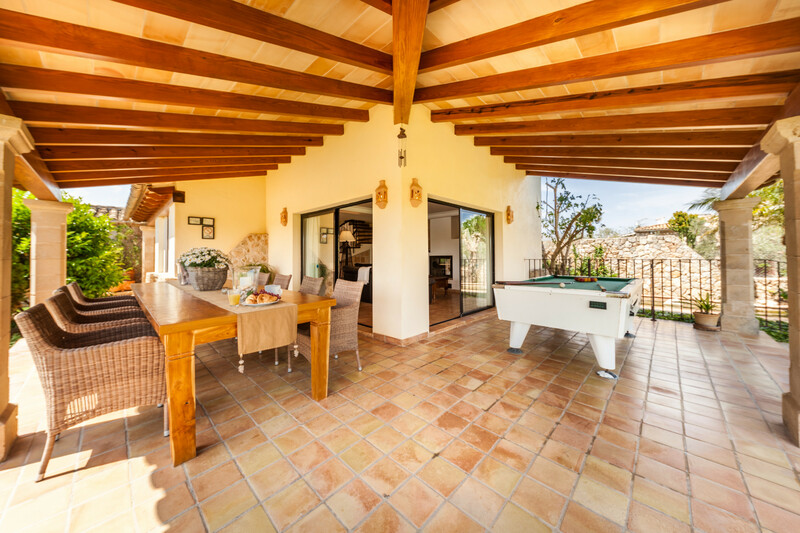 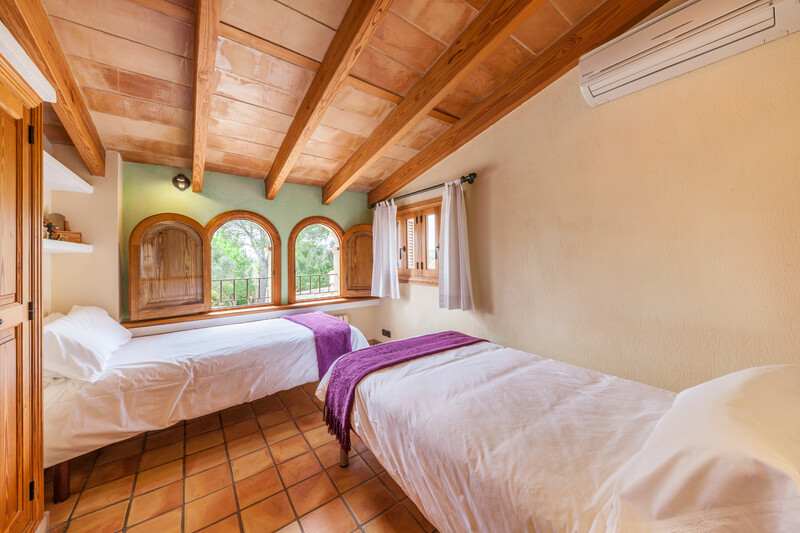 The house itself is spacious and has been carefully thought out and is a perfect fusion of modern and rustic Mallorcan style materials, however with all the modern commodities and equipment that you would need to enjoy your stay. 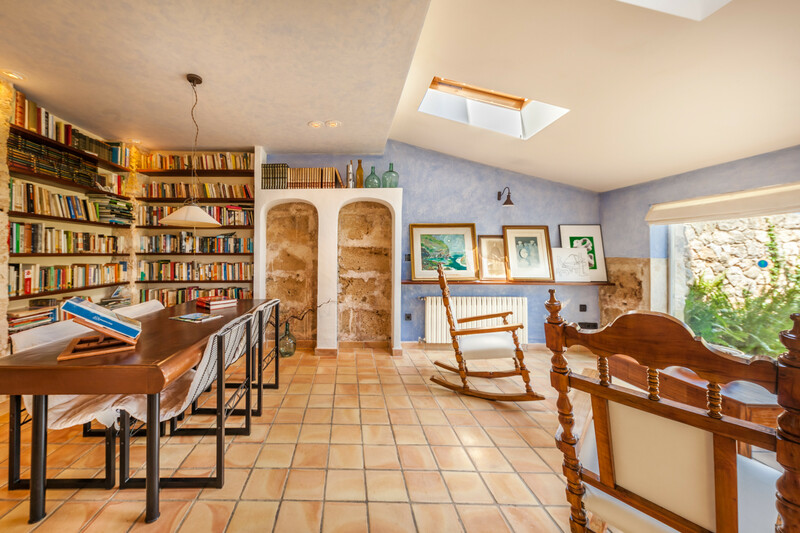 The ground floor consists of a large living area giving onto a reading/ studio area. 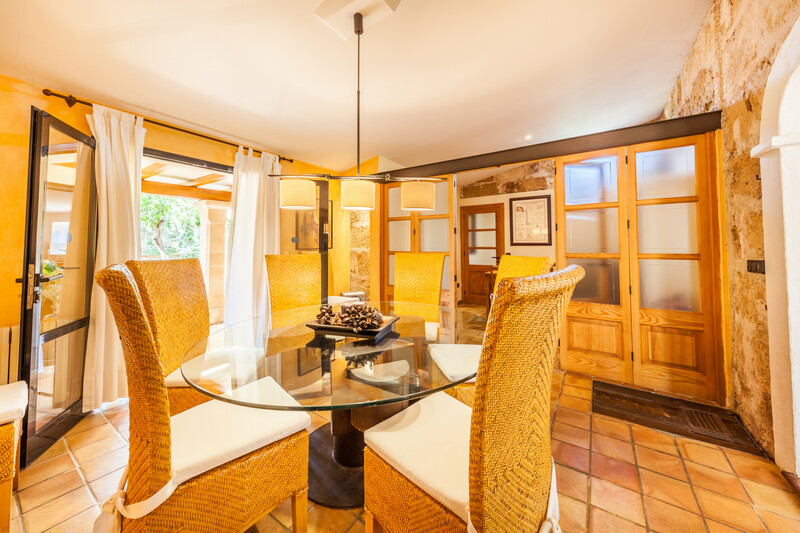 Dining room fit for 8 which opens out onto the private patio with dining area and a built in barbecue. 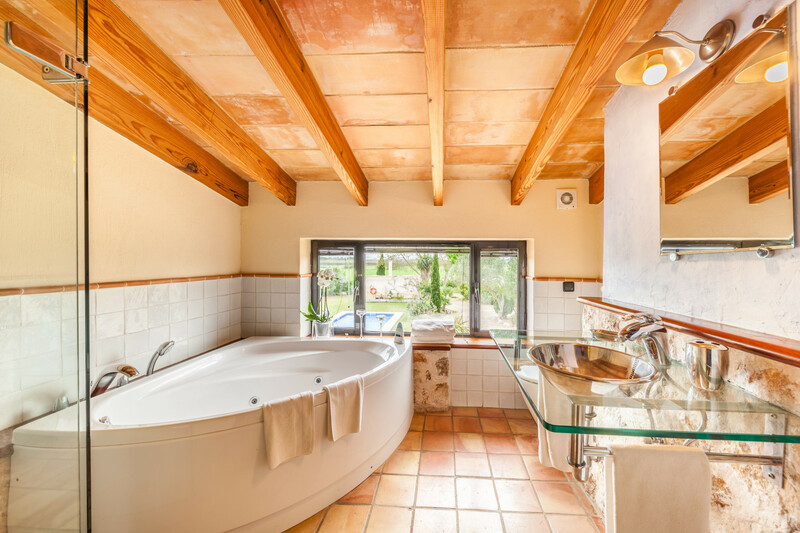 A fully equipped kitchen with breakfast area for 4 and one of the double bedrooms with an ensuite bathroom can be found here along with a Guest toilet. 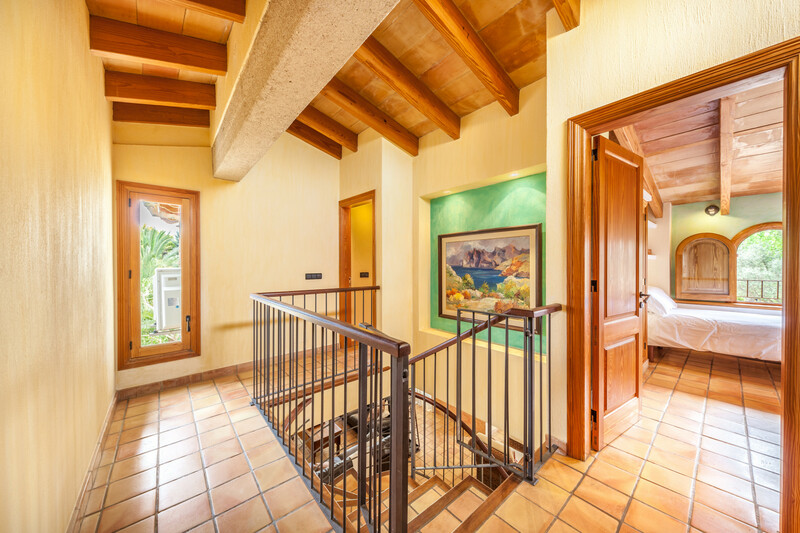 Coming to the top floor that is accessed by a gated spiral staircase, you will find the master bedroom with panoramic views and full en suite bathroom with separate shower and bath, one twin bedroom, one L-shaped bedroom with 2 single beds and a family bathroom. 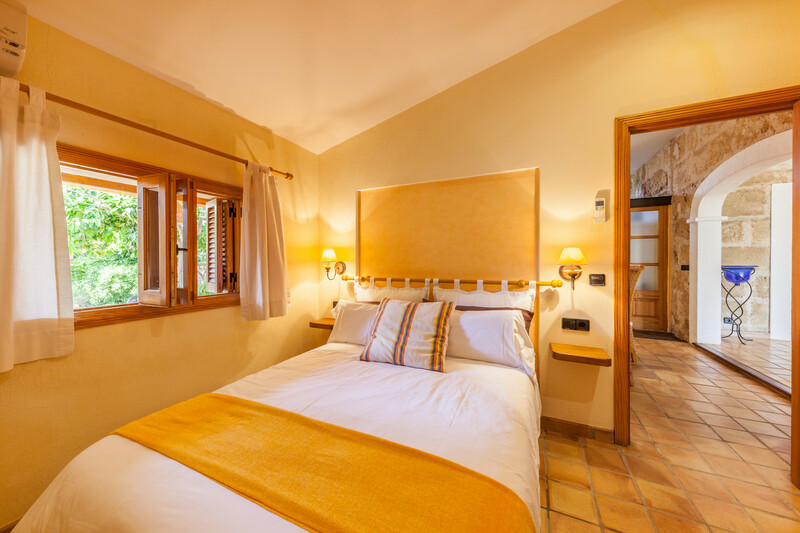 All of the bedrooms offer air-con for the hot summer nights.